I cannot believe how big Summer is getting. We finally did her 12 month photos with her blocks. We gave up on trying to get her to lay down because she wants to get up and explore. And she is curious as all get out! So Karen Brown said she only had a couple carrots, but I replanted a lot so I need to thin mine out and told her that I would show her how big my carrots are as I thin them out. They may look promising from the top, but not a lot of action below the soil yet. 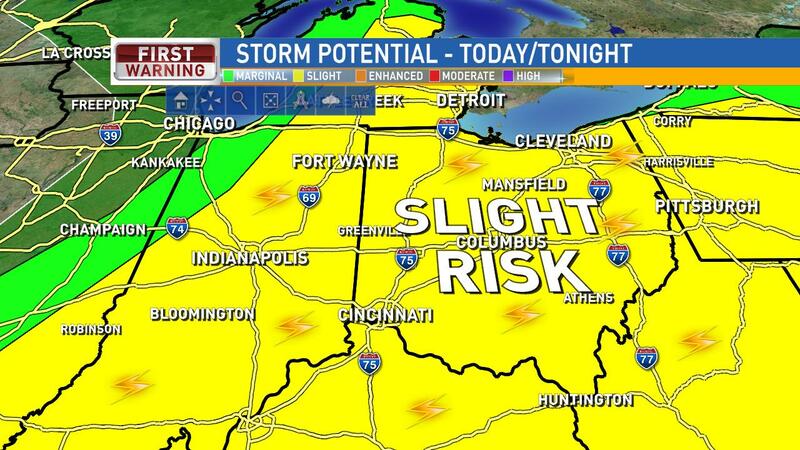 Strong to severe storms possible for Friday with Ohio in the Slight Risk category for gusty winds and hail possible. Hot & muggy today. Skies will be partly/mostly cloudy Friday and that will limit widespread storms to develop, but any storms that start to pop will have plenty of fuel to strengthen and become strong to severe. 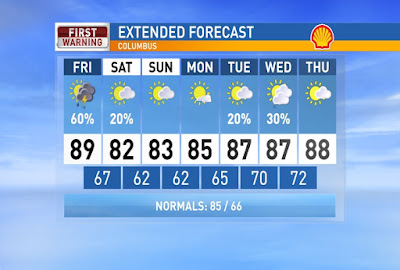 A cold front will move through this evening bringing cooler and less humid air for the weekend. 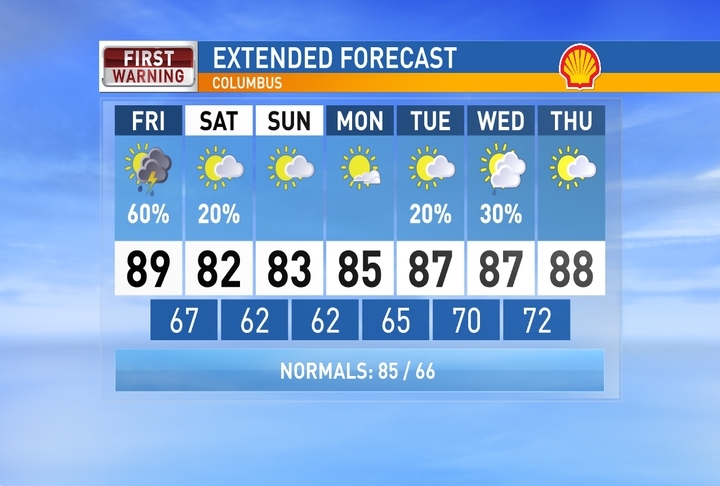 Partly cloudy Saturday and Sunday with highs in the lower 80s and a few spotty rain showers possible Saturday. Heat returns later next week. Have a good one!